If you think that Chinese tourists are still swarming into popular tourist sites, then you should update your knowledge. It proved that a lot of Chinese tourists are actually independent and like visit a peripheral and exotic destinations rather than go to developed or urbanized cities such as Hong Kong. Over 3,000 Chinese consumers had traveled abroad during this last 12 months. Nearly half of the travellers were from large cities such as Beijing and Shanghai, while the other half hailed from smaller cities. For these increasingly independent travelers, it was important to have an authentic experiences in these new countries. So while big shopping malls still hold appeal, many Chinese travel programs are no longer complete without activities such as music festivals, international film festivals, or tours at contemporary art museums. The idea of outbound tourism for Chinese associated closely with shopping is absolutely out of date. For the first time, shopping is no longer the main reason for Chinese to travel. Chinese travellers don’t want to be just shoppers but also enjoy the travel experience. The 2017 annual survey of Chinese tourists by consultancy Oliver Wyman found that while the average amount spent on an overseas trip rose slightly last year to Rmb20,000 ($3,000), shopping expenditure per trip fell to roughly Rmb6,700, from Rmb8,050 in 2015. It proved that Chinese tourists found experience in tourism sites overweighed shopping. In addition, the findings are echoed in a forthcoming FT Confidential Research survey that found that spending on shopping as a percentage of average trip expenditure fell to 37 per cent this year from 47 per cent in 2013. The amount spent on accommodation, food and entertainment rose from 31 per cent to 44 per cent. Therefore it also alerts global tourism businesses and brings them unimaginably potential profits that nowadays Chinese tourists not only are interested in shopping but also put emphasis on personal experience. Even though tour groups still have dominated China’s travel industry for decades, nowadays young people already don’t want to restrict by limited tour experience and compulsory shopping. They rather want to an independent tour by themselves. Young people in China’s biggest cities have absorbed in overseas culture, and many are choosing to travel without groups instead of themselves. There is another crucial fact that the young generation has received more English education and they can go abroad on their own. In the end, there is no need for tour groups anymore. Chinese tourists now stress on rather tour local experience than travel budget. According to the Financial Times, the allocation of Chinese consumers’ travel budgets to accommodation, food and entertainment has climbed 50 percent over the past three years. As a matter of fact, when the young tourists are seeking for a better quality of life, they desire local experiences over traditional tourism schedules. This year, China overtook Australia as second-largest source of travelers to Antarctica. Otherwise, dining and uniquely local things-to-do are among the most popular experiences sought out by Chinese travelers. Even though many Chinese tourists still want to revisit the countries they have visited before. For instance, more than one third (37%) still intend to visit countries they have been to before, such as Japan (46% want to revisit), South Korea, Taiwan and Thailand. However, they want to have a new experience in these countries and rediscover something new. The desires of there travelers for the tours to Europe, North America and Latin America has grown even stronger than last year when the trend to these long haul destinations already emerged last year. The findings show that for next year Europe, Africa and the Middle East are the top new destinations for more than half of the travelers surveyed. North America will continue to be a hot favorite, and Latin America is also emerging as a popular choice with 26% and 13% travelers planning a first-time visit to these destinations in the next year respectively. Over a third of travelers plan to visit Oceania next year, with Australia topping the list for future visits. Some millennials want to push the boundaries in trying activities that provide an adrenalin rush or even an element of danger such as whitewater rafting, an escape room, paintball and sliding down a live volcano in Nicaragua. In spite of young generation or millennials in any country, digitalization cannot be neglected by any tourism business. Thus the priority always is to market your tourism business in digitalization. Here are some tips for the tourism businesses tending to attract more Chinese people, especially young Chinese tourists. Social media fuels many of these newfound desires. 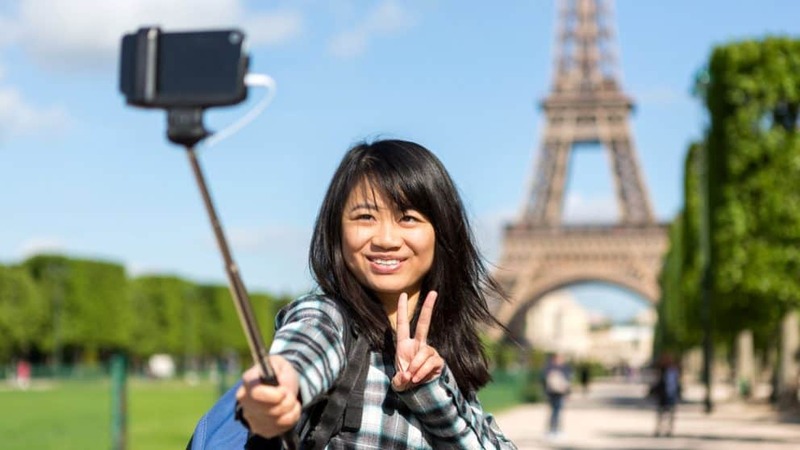 Over 40 percent of millennial respondents said they share their cultural experiences through selfies that express their individuality to friends and family by the uniqueness of their holiday and no longer solely by what they wear or own. With around 889 million registered users in December 2016, Wechat has become a powerful tool for businesses around the world. It is widely used especially among Chinese youth, who are most likely to travel. For hotel business, localization and authenticity are becoming more important factors than in the past. Half of the respondents said that they stayed at “independent hotels with local flavor,” while 33 percent tried boutique hotels, and just under half had stayed at international chain hotels. Overall, it seems as if travelers are increasingly looking for access to cultural heritage sites, authentic artisans, and historical landmarks during their international stays. The reason tourism businesses cannot attract Chinese people probably is exposed too little in Chinese Internet, and thus the E-reputation online in China is the key to your business. Except social media mentioned above, KOLs or influencers are the great choices for your promotion. 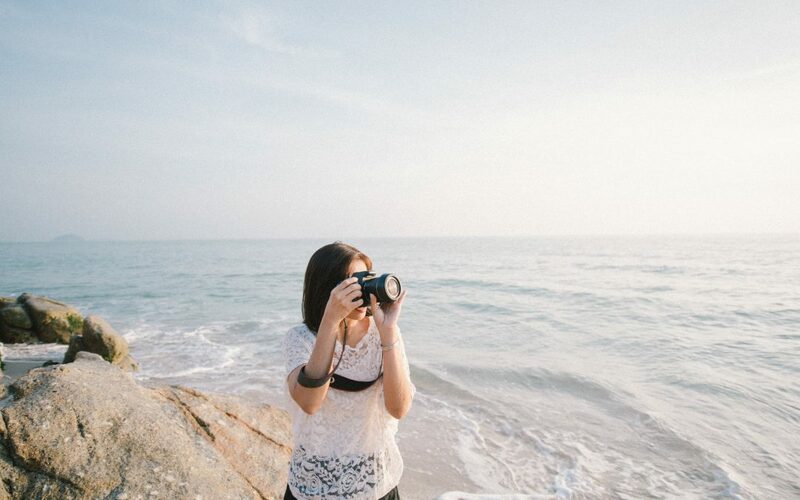 The influencers have become a powerful tool for tourism marketing in China. Many influencers command thousands of followers on Chinese social media platforms. They will share your messages with their fans and write articles about your company. Chinese customers tend to trust the opinions of these influencers more. Since Chinese people are fond of niche tour sites, some niche European areas or countries would be the perfect options for them. Owing to this, GMA is glad to help to develop Chinese market for them. GMA help Croatia Boat Travel for the promotion in China. 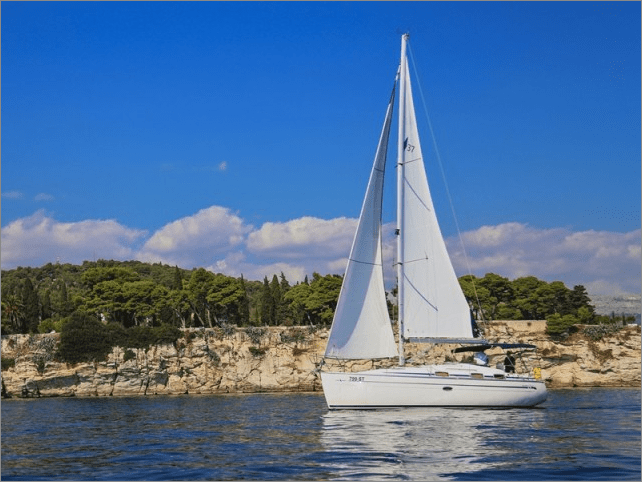 Croatia boat Travel is a European cruises tour company. They have completely business system in Europe. When they want to promote their service in China, they contacted GMA to charge their marketing project. We have three best solutions for it. 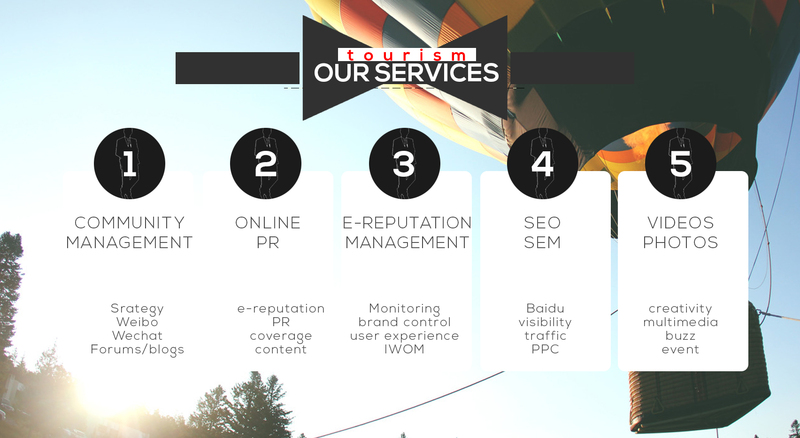 First, we developed and optimized its website for attracting more and more Chinese people, especially young tourists, because they are more willing to search tour information online or though social media. Second, we made SEO campaign on Baidu since Baidu is the number one SEO in China instead of Google. Third, we help it promote the branding via social media, PR or forums.In the end, we brought it 50 quality visitors per day. Bhutan is the world’s most Happiest country and we provide best tours of all kind.